We are a two-site small animal practice in Kilmarnock, first established over 10 years ago. We are passionate about animal care and our skilled team of veterinarians and vet nurses are dedicated to providing the highest quality care for your animals. Because we love animals and strive to provide excellent continuity of care, we are open seven days a week and provide our own inpatient care - 365 days a year. The summer months can present a variety of hazards for our pets so it is important to be vigilant. One of the biggest summer dangers is ticks, especially if your pet likes being outside. Check your pet for ticks at least once a day; dogs are often more affected than cats, and ticks can be harder to find on thicker-coated dogs. Ticks are the number one spreader of diseases in pets, with symptoms hard to spot, so do speak to your vet about an effective tick prevention program. Not all dogs like to – or are able to – do the doggy paddle. So if you’re planning on introducing your dog to water, it’s best to use a floatation device made specifically for dogs, or try a shallow children’s pool. If your dog really doesn’t want to go in, don’t force them. Cats and rabbits do not like to swim, so try to keep them away from water altogether. If your pet does enjoy swimming, always rinse them after; chlorine, salt and bacteria can be harmful. Animals should also have access to fresh water, as drinking pool and lake water can cause health problems. The buzzing of a bee may not be a pleasant sound to us, but it can intrigue your pet, causing them to investigate and get stung. If your pet does get stung and there is swelling, see your vet for advice and treatment. Everyone loves a BBQ, especially your pet, who gets to feast on scraps. This can be dangerous however, as some foods, such as grapes, onions, garlic and raisins can be toxic to dogs. Grapes and raisins are safe for cats, but keep onions and garlic away. Table scraps and treats should be kept to less than 10% of a pet’s diet. Boneless chicken, hamburgers and hot dogs are okay, but limit them to small quantities. As you know, most pets eat anything and everything, so keep an eye on them. These dangers may all sound a little bit scary, but with some consideration, you can relax and enjoy the summer, and your furry friend can too! 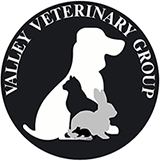 Valley Veterinary Group is part of CVS (UK) Limited, a company which owns over 490 veterinary practices within the UK. Company Registration Number 03777473 – Registered Office: CVS House, Owen Road, Diss, Norfolk IP22 4ER.